Whether your organization is a small, medium or large business, our conferencing solution is for you. PublicBell’s web conferencing platform can help connect people across large distances, neutralize technical barriers, and create new collaborative spaces. Make a reservation for your call and use a dedicated dial-in number, PIN and PIN less pass code to enter the conference without operator assistance. No reservation? No problem. Host meetings/conferences with any number of participants using our solution. There is no limitation. It is easy to use our solution with a self managed account portal for every client. 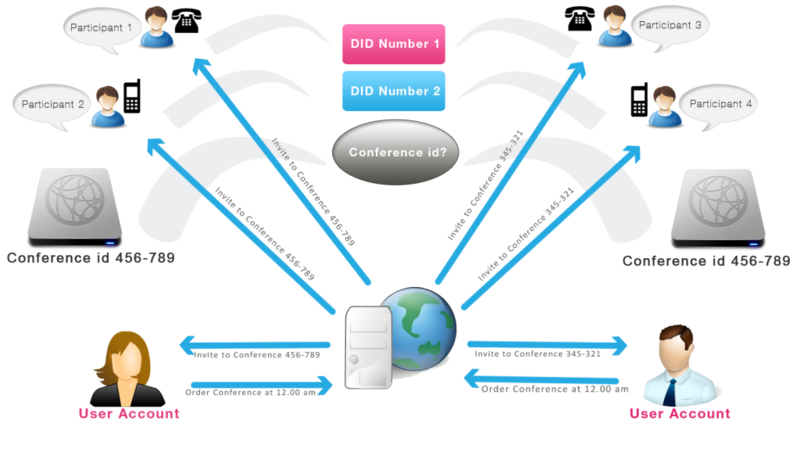 Conferences/meetings can also be recorded using our solution. Organizations or individuals can use PublicBell’s voice broadcast platform to send important alerts, promotions, updates, and notifications to customers, employees, voters, and more within seconds. Our solution is easy and cost-effective way to reach more in less time. PublicBell’s voice broadcast platform has numerous applications spanning across industries. Our solution is very simple to setup and will add a personal touch to your communications. Our solution can transmit bulk phone messages to millions of recipients at the same time. Your pre-recorded voice message can go out to customers, prospects or staff. Recorded messages can be phoned through to recipients and answering machines. If our voice broadcast platform detects no answer or a busy signal, the message can be rescheduled for retransmission at a later time. PublicBell’s voice broadcast platform is the perfect solution for call center marketing programs, customer reminders, political campaigns etc. Our voice broadcasting solution is simple to use, 100% web-based and delivers results in real-time. All you need to supply is your message by recording your own or uploading a file with our self service customer panel. PublicBell’s fax platform can be used by any person or organisation no matter the size. Send fax via Internet, Email, Fax-to-Fax using our solution. Sending and receiving fax via our solution is easy. Send and receive faxes over the internet directly from your email client, and eliminate the hassle and expense of manual faxing. It allows Least Cost Routing (LCR) cheaper rates. Safe and secure: No more paper trail, no risk of sensitive data falling into the wrong hands. Fits with any business need: Seamless integration with your existing email environment. Supports DID ( Your own Fax Number) for Incoming/Outgoing Faxes delivery and sending via email, web or fax machine.